The global group IZ*ONE has released the new official photos of Km Chaewon, Lee Chaeyeon, and Miyawaki Sakura. 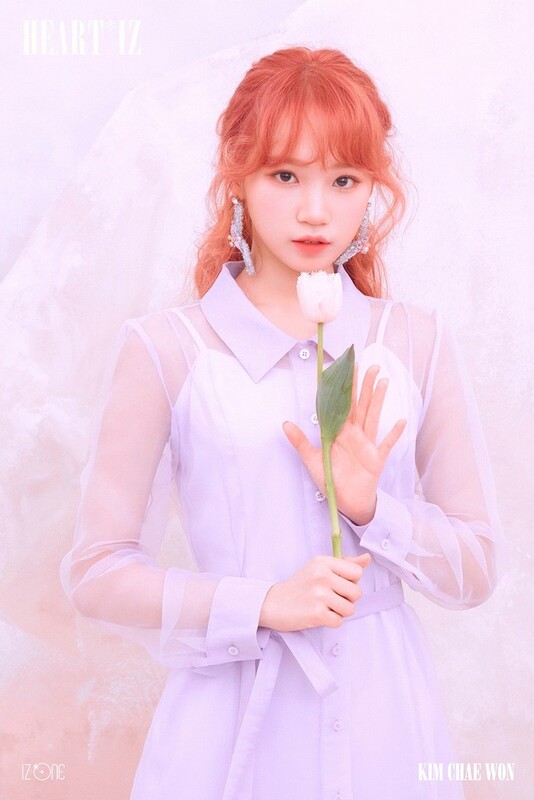 IZ*ONE has posted the individual official photos of Kim Chaewon, Lee Chaeyeon, and Miyawaki Sakura in violeta version of ‘HEART*IZ’, the second mini album, through their official SNS channel on the 22nd midnight. Especially, the bright violet color that matches the Violeta version made perfect harmony with the three member’s beautiful visual and has made the fan’s heart beat faster. Meanwhile, IZ*ONE’s new mini album ‘HEART*IZ’ is releasing on April 1st at 6 p.m., and the offline album will be available as well through various soundtrack sites.